The Al Nusrah Front, al Qaeda’s official branch in Syria, and its rebel allies have launched multiple new military offensives against the Syrian regime. 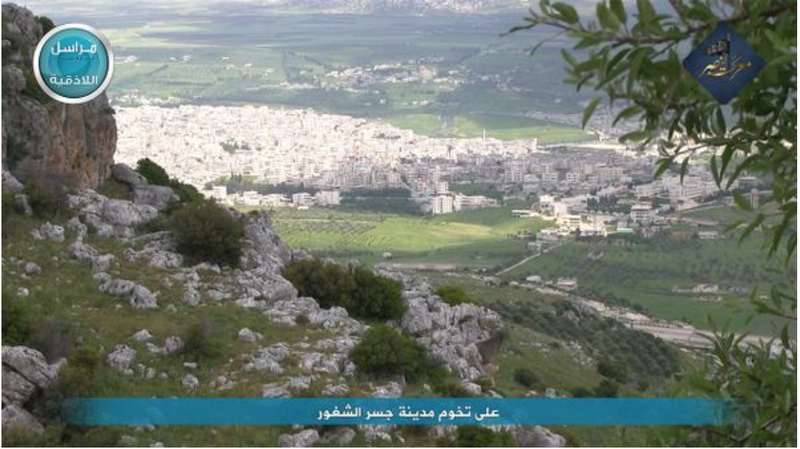 Their most significant effort is focused on the city of Jisr Al Shughur in the Idlib province. The jihadists have established a coalition named the “Battle of Victory” to coordinate their efforts during a major push into the city. The alliance is modeled after the Jaysh al Fateh (“Army of Conquest”) coalition that overran the city of Idlib late last month, but includes a different configuration of groups. 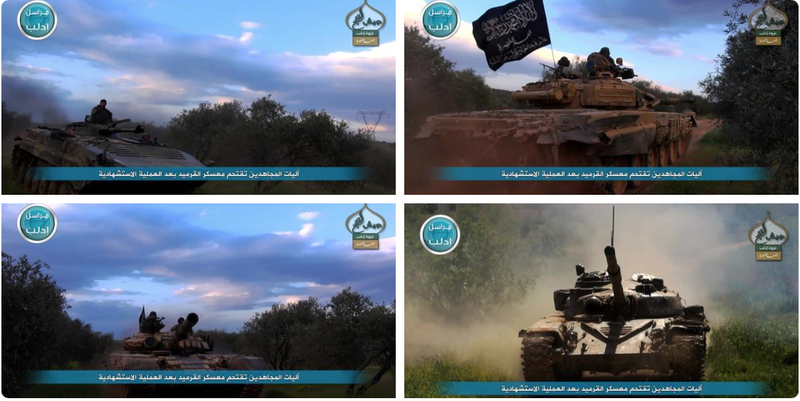 In addition to the Al Nusrah Front, the “Battle of Victory” coalition includes Ahrar al Sham, Jaysh al Islam, Ansar al Din, and Ansar al Sham. 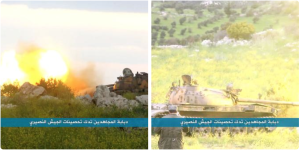 Other groups may be participating in the battle as well. 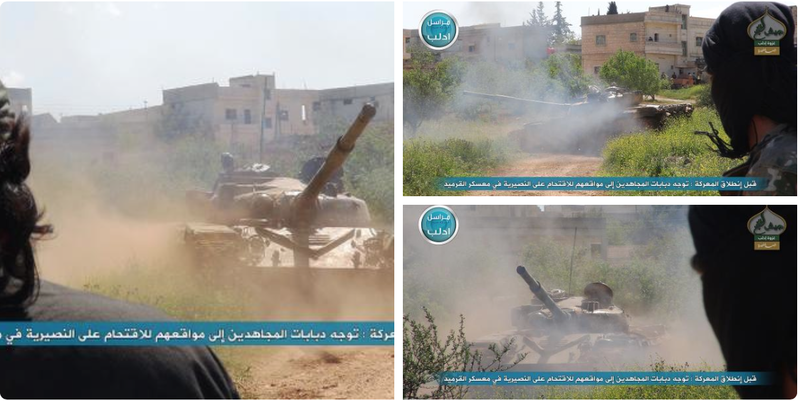 Ahrar al Sham is an al Qaeda-linked organization which was seeded with senior al Qaeda veterans in its ranks. 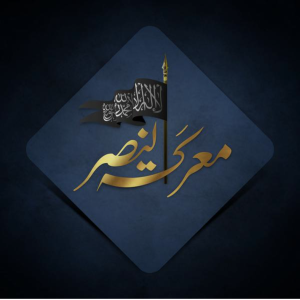 Ansar al Din is also part of the al Qaeda network, as its leaders have been openly loyal to the emir of the Islamic Caucasus Emirate (ICE), another al Qaeda-affiliated group. 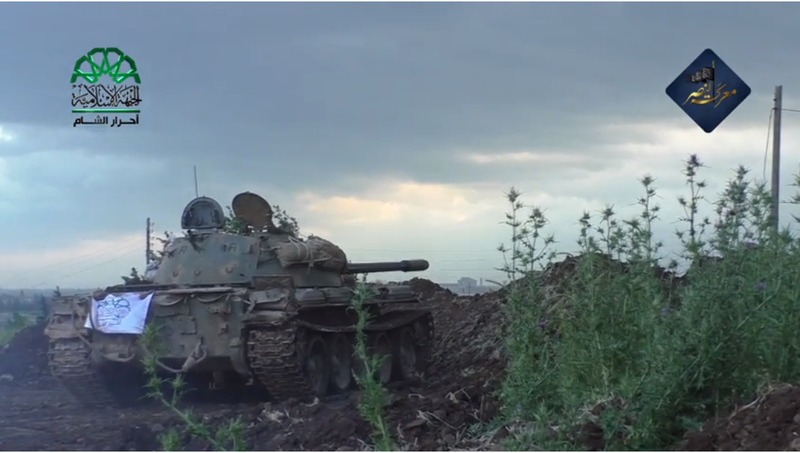 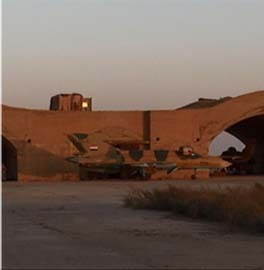 Member groups in the “Battle of Victory” coalition have been streaming photos and videos from the fighting on their official Twitter feeds since the offensive began. 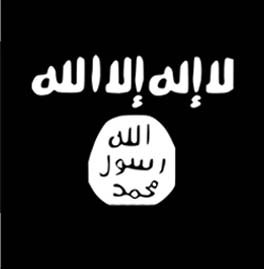 The images are stamped with each group’s logo, as well as a new brand created for the coalition. 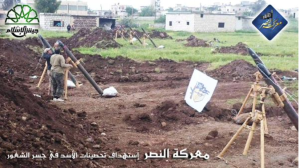 The Jaysh al Fateh alliance did the same during the battle of Idlib, with each group using two brands on its propaganda — its own, plus the Jaysh al Fateh logo. 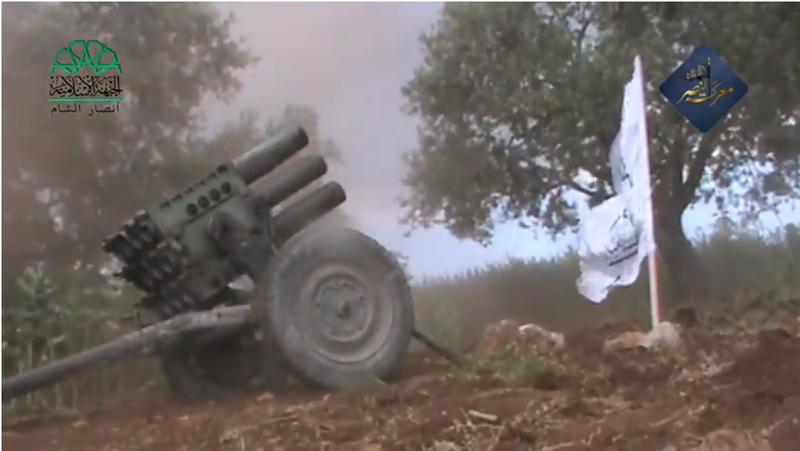 The “Battle of Victory” alliance’s logo can be seen above. Images from the member groups’ propaganda can be seen below. 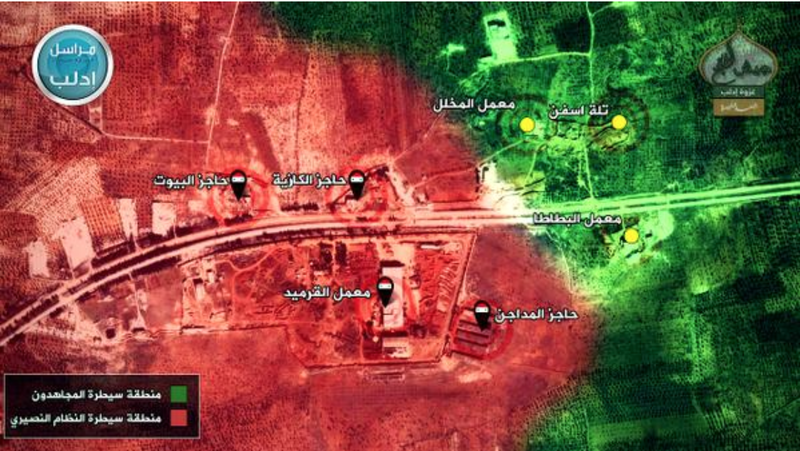 The newly announced coalition is part of a deliberate strategy to pool the resources of various rebel groups. 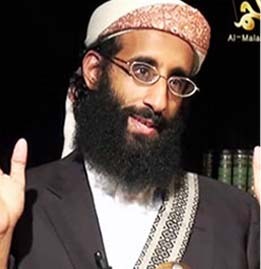 Sheikh Abdallah Muhammad al Muhaysini, an influential al Qaeda-linked ideologue in Syria, has long advocated for this course. 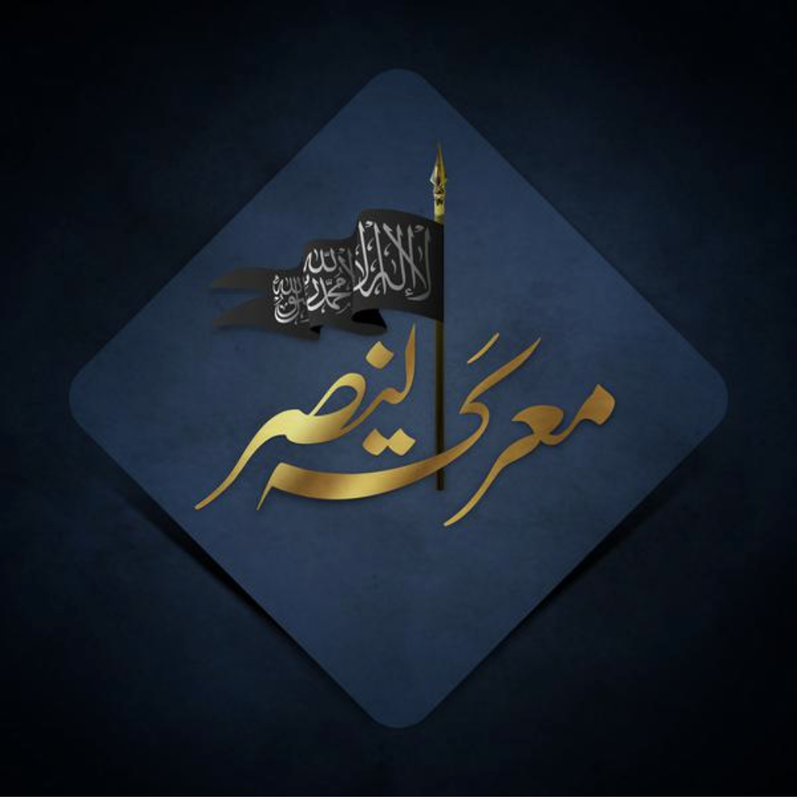 Muhaysini plays a prominent role in Jaysh al Fateh, and quickly endorsed the “Battle of Victory” grouping. 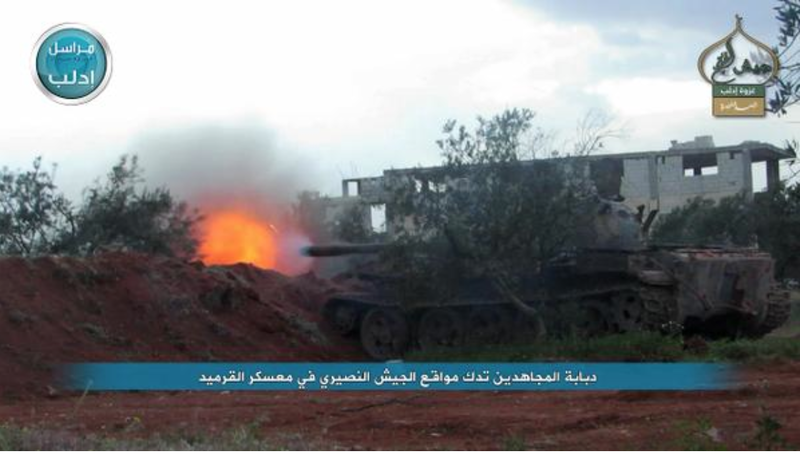 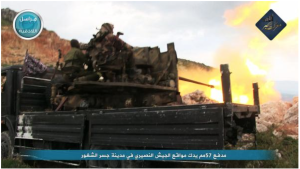 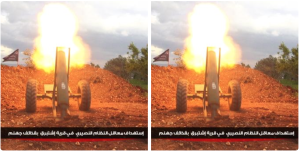 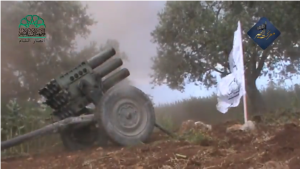 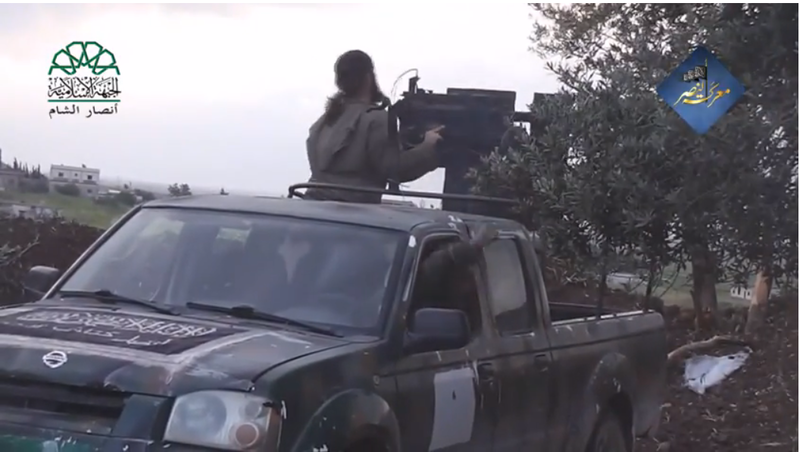 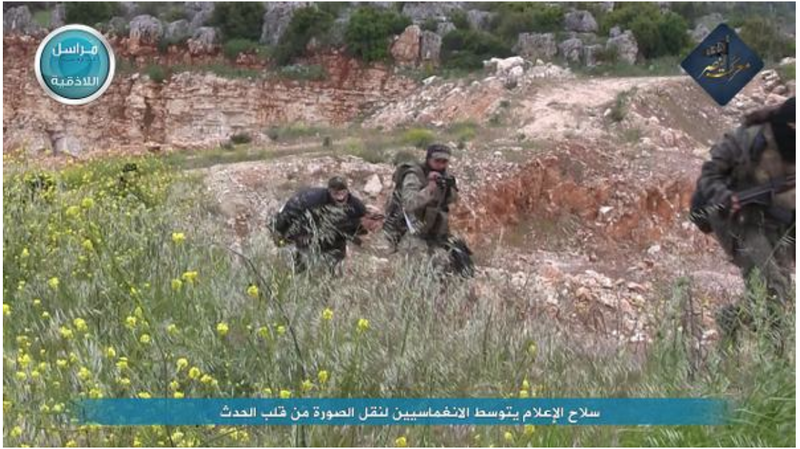 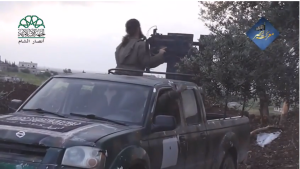 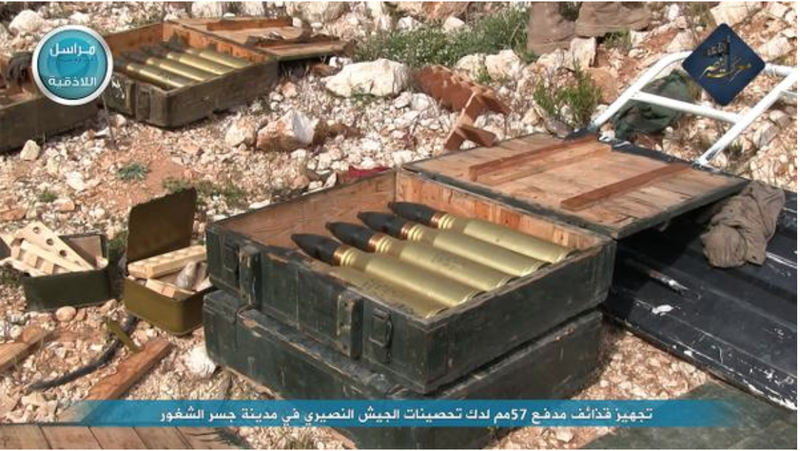 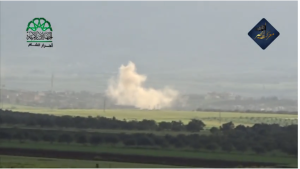 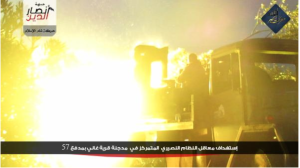 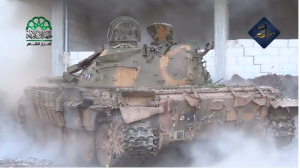 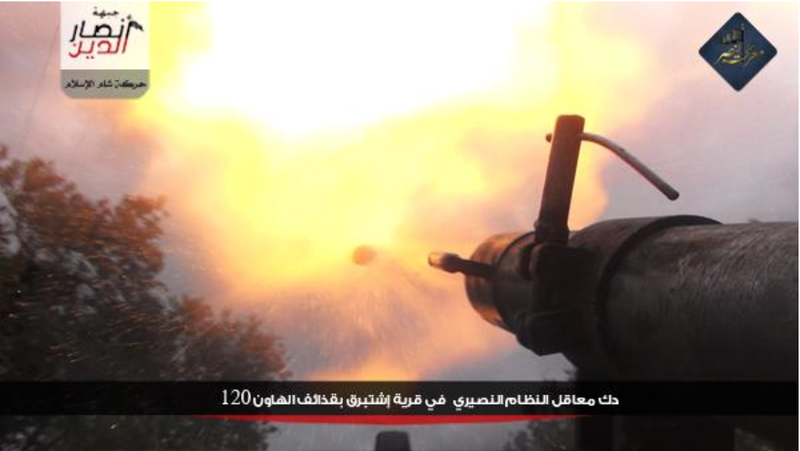 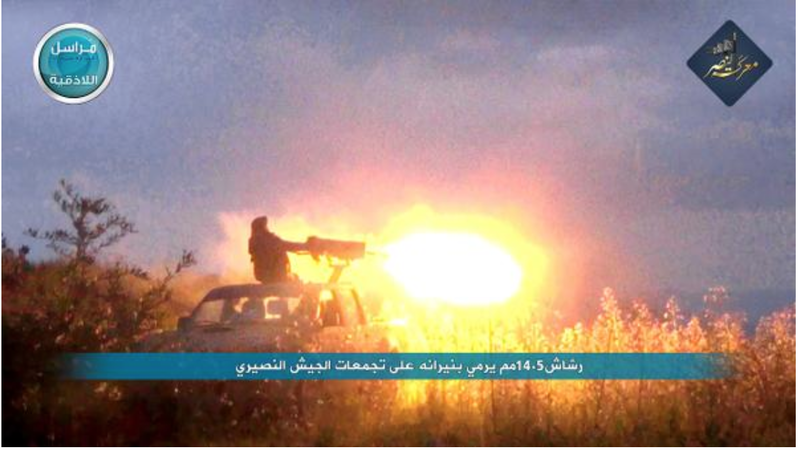 The Nusrah Front also launched an attack on the Al Qarmeed military camp in Idlib. 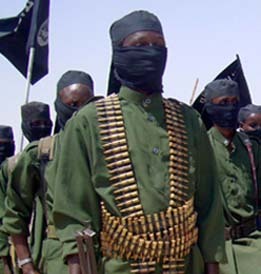 A suicide bomber detonated a bomb packed into an armored vehicle at the beginning of the assault. A video of the suicide attack, as well as photographs, have been published by Al Nusrah’s so-called “correspondents” network. 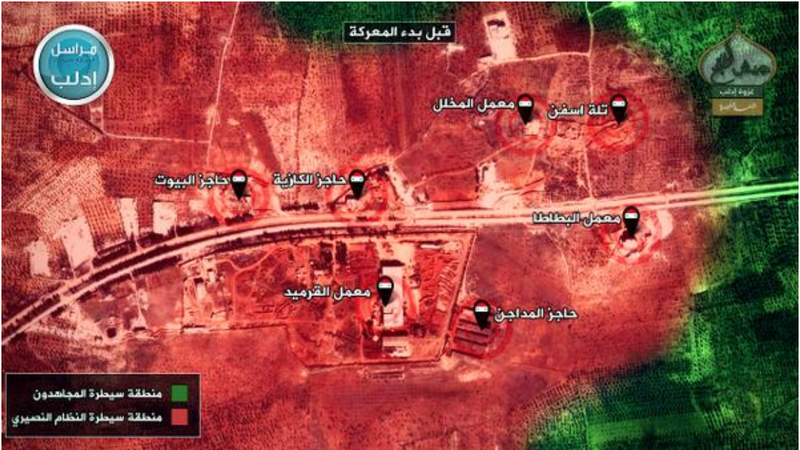 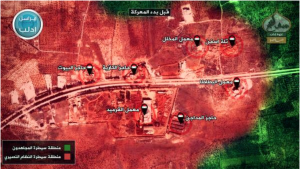 Al Nusrah is claiming responsibility for the assault on Al Qarmeed as part of the Jaysh al Fateh coalition, and the organization has posted maps showing jihadists advancing on regime positions in and around the camp. 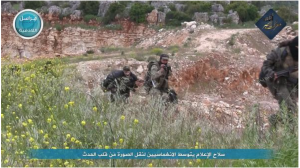 Al Nusrah and its allies are attempting to consolidate their control over northern Syria, pushing Bashar al Assad’s regime and its allies out of their remaining strongholds in the province of Idlib. 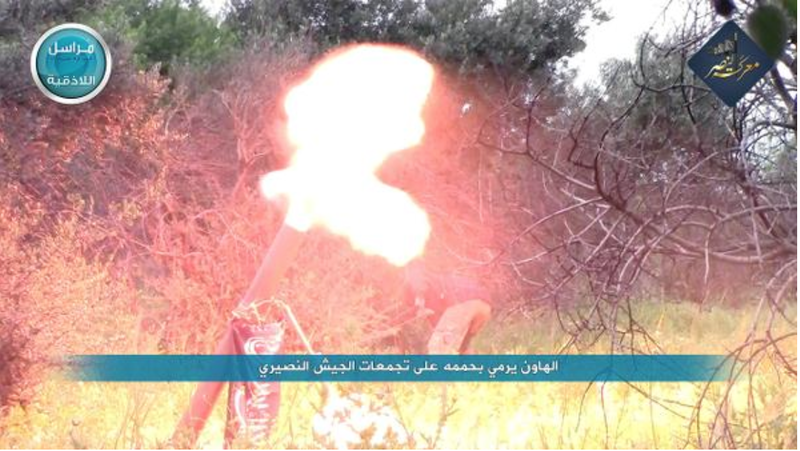 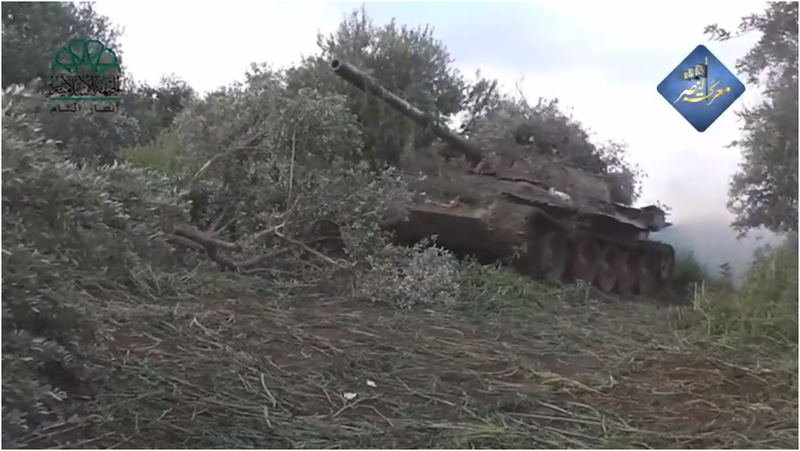 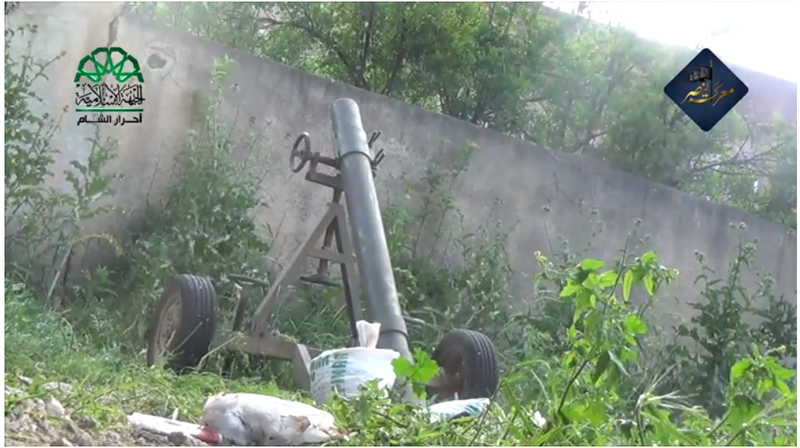 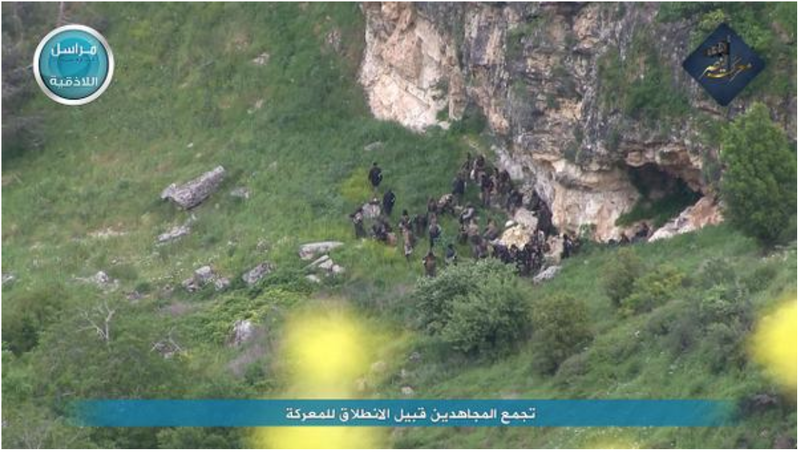 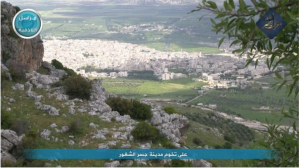 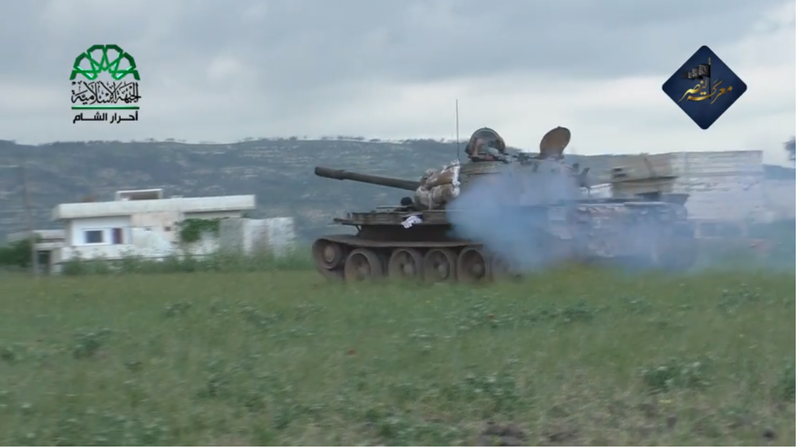 Elsewhere, rebels have reportedly launched attacks on the al Ghab Plain in Latakia. 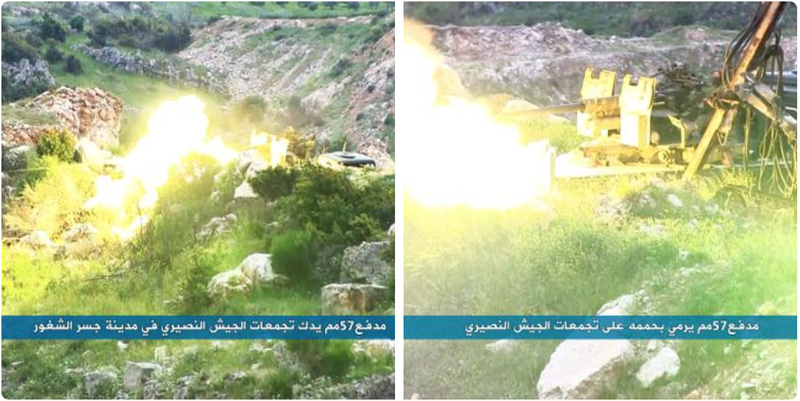 Al Nusrah and other insurgents are involved in heavy fighting against Assad and Iranian-backed forces in the southern province of Dara’a as well. 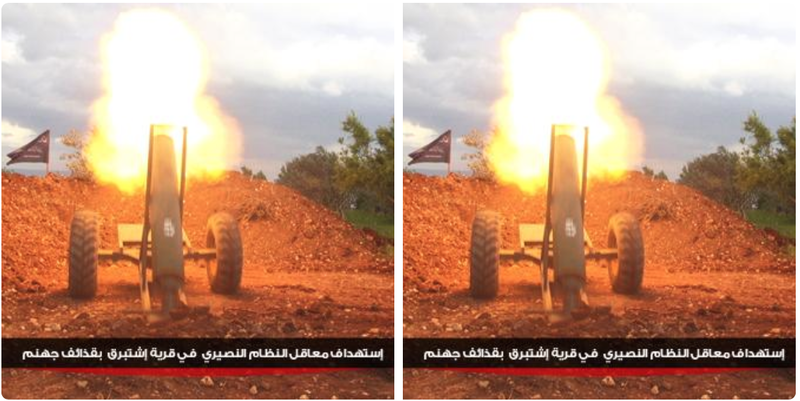 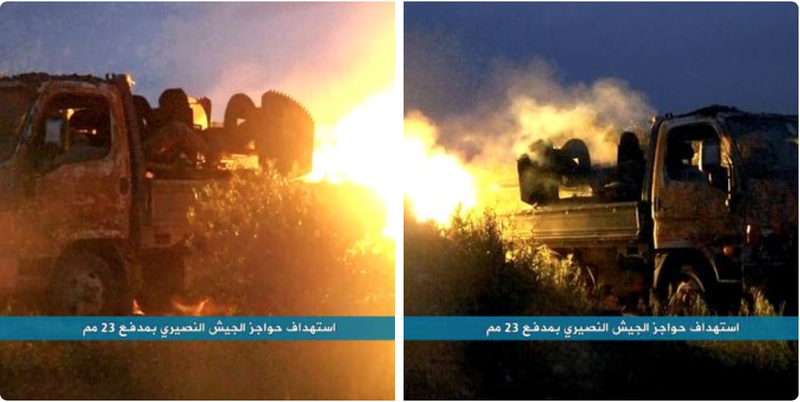 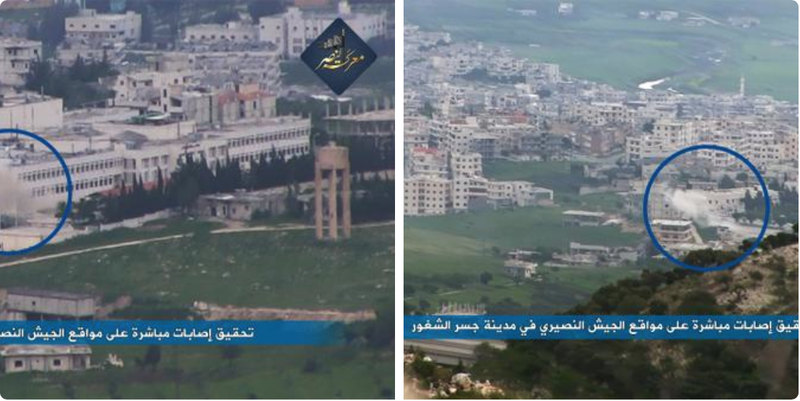 The images below were posted by Al Nusrah Front’s “correspondent” Twitter feed for Idlib. 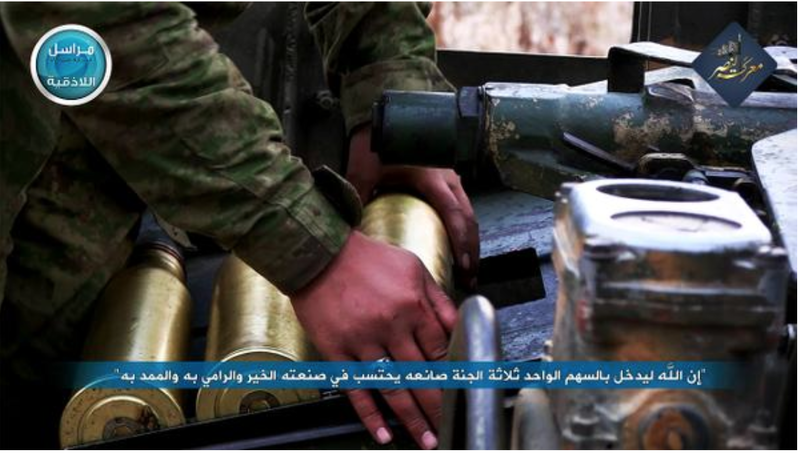 The photos are all branded with the logos for both Al Nusrah’s “correspondent” network and Jaysh al Fateh. 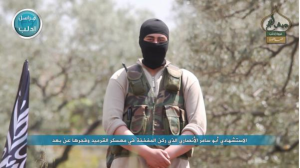 Syria has completely ceased being a country and has become a Jihad warzone where the Islamic factions slaughter everyone and everything in sight. What is left of the country? 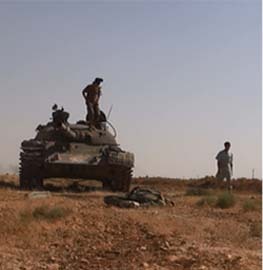 Virtually all aspects of the state have been destroyed. Sooner or later the government terrorists or the nongovernment terrorists move in and the other side comes there to fight and goodbye civilians, and civilization too for that matter. 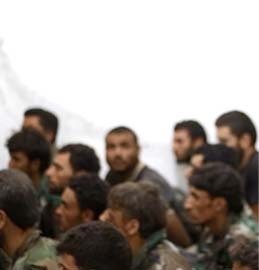 The entire middle east is breaking down from one end to the other. There is no leadership, no strong man (other than maybe Sisi) able to stand strong and drive the Jihadis from the face of the earth.